Notes In 1943 it was decided to simplify the Sd.Kfz 251 by constructing a new body, this new look made production easier and aided faster production. The new hull had a sloped rear and new storage compartments were added to the hull sides. 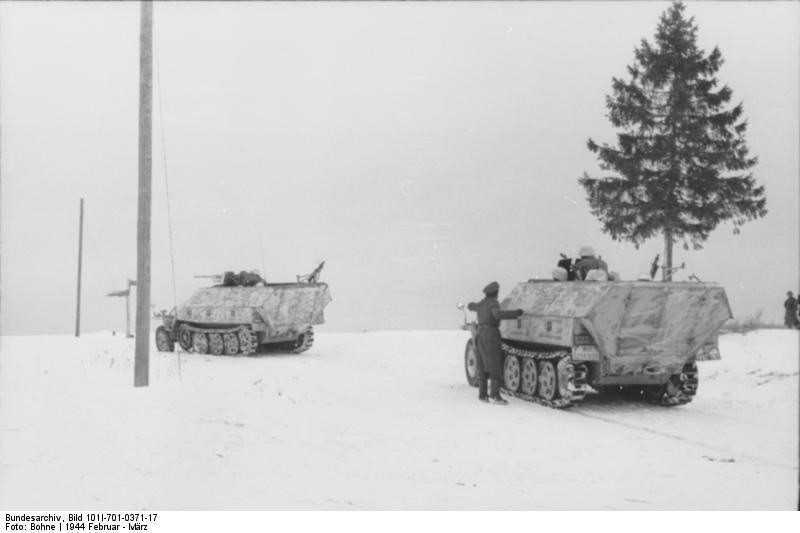 The new model was known as the Ausf D. It was issued in the same roles as the earlier models and was used on every front.